It always saddens me to hear about the death of a performer I like, and especially so when it happens to be one that I’ve had the great fortune to have met. 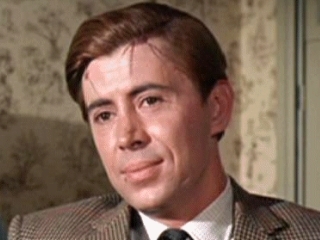 Such is the case with Brian Bedford, an actor primarily known for his work on stage, yet also having performed in a number of feature films and TV show guest appearances. 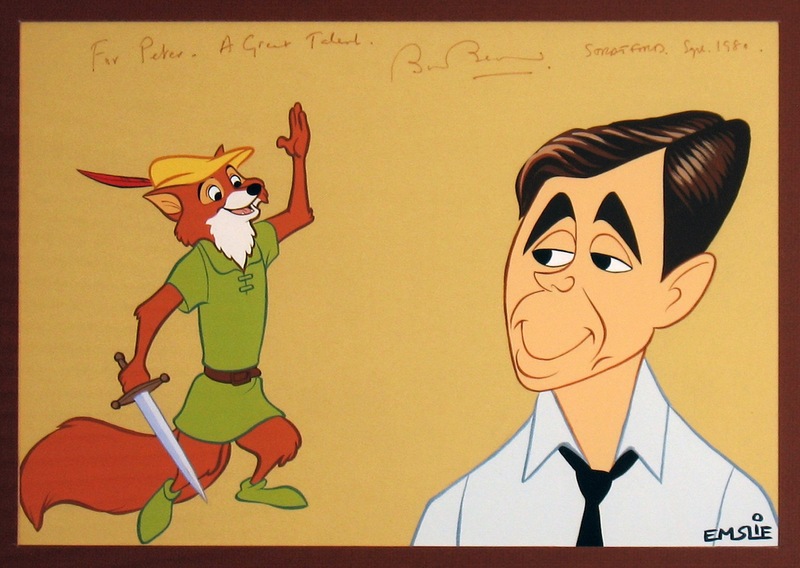 I first became aware of Brian Bedford in 1973, when I saw Disney’s animated feature, Robin Hood up on the big screen when I was just 13. Brian was perhaps the only actor in the film’s voice credits that I had never heard of, and ironically he was the voice of the title character, Robin Hood the fox! I just loved that film, as I was quite taken by the concept of the Robin Hood legend being re-enacted with a cast of anthropomorphic animals. (And that was long before I’d ever heard the word, “anthropomorphic”!) Despite it not being particularly well thought of by animation film critics, it still remains a personal favourite Disney feature of mine, as I still believe it has some of the most enjoyable characterizations, even if the plot is merely serviceable. My photo of Brian Bedford from 1980. I wish we'd had digital cameras back then! Several years later, Brian Bedford started to appear at Canada’s Stratford Festival, in Stratford, Ontario. In 1978, my parents agreed to take me to see him at Stratford, in a production of Private Lives, opposite Maggie Smith. We drove there from Ottawa, and I was able to arrange before the show for permission to visit with Brian backstage after his performance, as I had drawn a caricature that I wished to present to him. Brian had given the word that we’d be welcome, and so we headed backstage after the show (and passed Maggie Smith in the hallway, who smiled at us as she was just heading home). 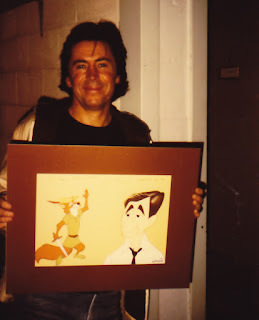 Brian Bedford was absolutely charming, and graciously spent about a half hour with us, chatting with me about both his voice work in Robin Hood, as well as his role in Grand Prix, the only live-action feature I’d seen him in, and on which I had based my caricature of him. Coincidentally, Brian's co-star in Grand Prix was James Garner, my alltime favourite actor, whom I have featured numerous times on The Cartoon Cave! We saw him again at Stratford a couple more times over the years, and also were able to visit with him when he appeared on the Toronto stage in a production of Whose Life Is It Anyway? The caricature pictured in the photo above is a second one I’d done of him, presented to him at Stratford in 1980. Every time I saw him, he greeted me by name, even remembering the fact that I’d hoped to one day work for Disney. That would actually happen for me in 1984, but I don’t believe I saw him again after then, and I think he’d have been happy to hear that news if I’d gotten in touch again. I really wish now that I had. Brian Bedford was a true gentleman and a very kind fellow. I will miss him very much. Nice summary of Brian Bedford's career. A shame his death was largely unheralded in the UK, barring a brief item in the Independent. First came to my notice in Grand Prix, as a sort of gloomy Jim Clark, and on a hiding to nothing up against the mighty James Garner. A lot more fun in Robin Hood.